For example, one rule states: “Review Editors will need to ensure that where significant differences of opinion on scientific issues remain, such differences are described in an annex to the Report.” Yet no such annexes have been produced. I was involved in numerous areas where there were significant differences of opinion on scientific issues, such as flaws in surface temperature data, improper estimation of trend uncertainties and methodological flaws in paleoclimate research. None of these differences were resolved during the review process, yet no annexes were ever published, creating a false impression of consensus. After the publication of the AR4 I found that important text had been altered or deleted after the close of the review process, and the Lead Authors of Chapter 3 had fabricated evidence (on Page 244 of the Working Group I Report), by claiming that statistical evidence in two published, peer-reviewed articles on surface data contamination was statistically insignificant, when the articles show no such thing. The paragraph was inserted after the close of peer review and was never subject to external scrutiny. 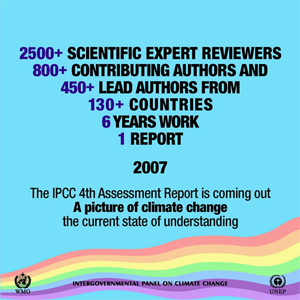 That Lead Authors are able to insert evidence and rewrite the text after the close of review makes a mockery of the idea that the IPCC reports are peer reviewed, and undermines the claim that they contain the consensus of experts. Selection of Working Group Chairs and Lead Authors appears to be under the control of a small circle of people committed to a predetermined view on global warming. In combination with the fact that the review process is toothless, this guarantees that the report contents are predictable given the names of the Lead Authors. Indeed there is not much point even publishing the report anymore: Once the list of Lead Authors is known, we can all guess what the conclusions will be. 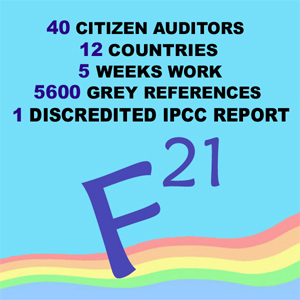 I am sure that there are many areas in the IPCC report where the conclusions will be sound. But in the areas where I have detailed knowledge and experience, this has not been the case.